When we crossed the Rhine River, we began our journey into France. We apologize for the delay in posts, it was surprising to find internet in France difficult to obtain or very expensive. 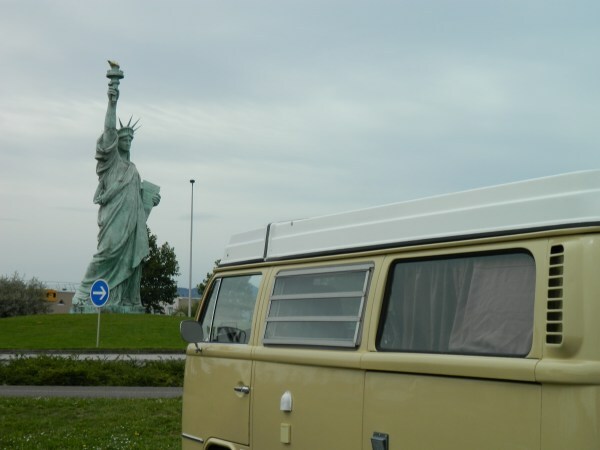 Other than that, we hope you find France as interesting and full of history as we did. 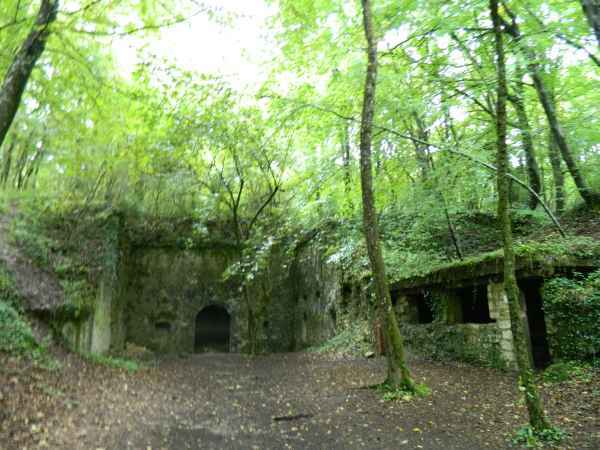 With World War I having been fought over 100 years ago, there are no remaining veterans living to tell the story of the Battle of Verdun. If they were alive today, they would want the world to remember that in just 300 days, 230,000 men lost their lives in an area covering only 8 square miles. Evidence of what took place during those 300 days are still seen to this day, As we traveled over the cratered landscape where 60 million artillery shells were fired, and where complete towns were destroyed, we reflected on the horrific battles of this “senseless” war. There are still many signs that this area was completely devastated. 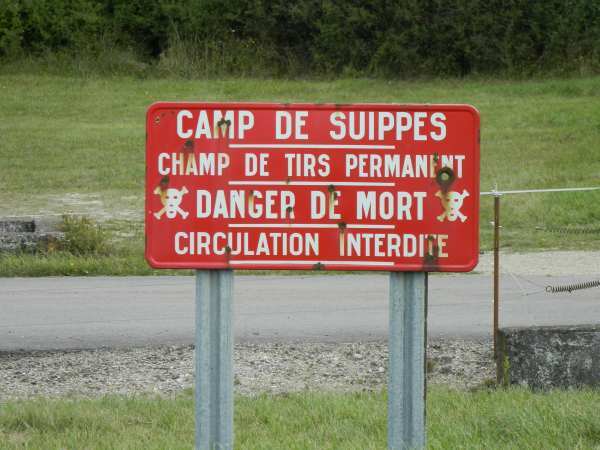 Partial trenches, old barbed wire, old hidden military forts, gun batteries and signs posted to warn visitors that some areas are still unsafe to enter due to unexploded shells that remain, even 100 years later. It was eerie to visit towns that were completely destroyed, with only plaques telling us where the baker once had his shop, where the church once stood…. We visited many somber and thought provoking memorials along the way, but none more humbling than the Douaumont Ossuary. It is more than a memorial; it holds the bones of over 200,000 French and German soldiers who were killed on the muddy fields of Verdun. 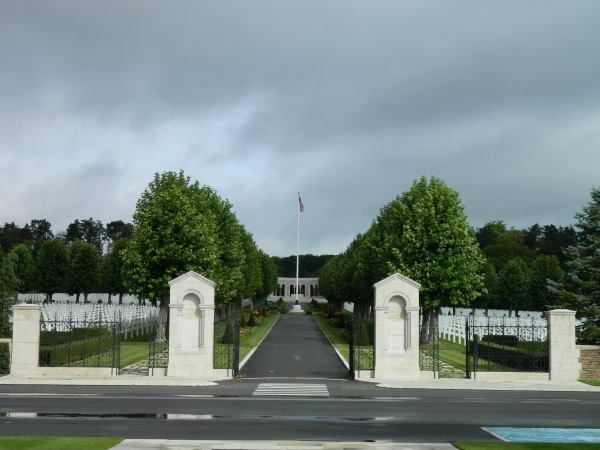 After the war, the Bishop of Verdun, Monseigneur Ginsty, felt solders deserved a proper burial and began collecting their remains and commissioned the building of this memorial. 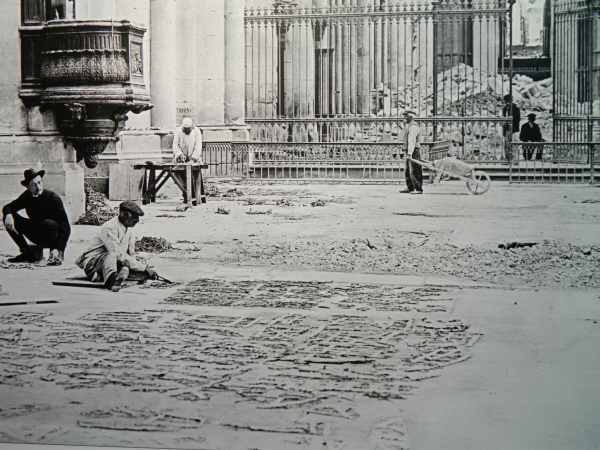 Solders’bones were officially collected from 1920 to 1932 and placed in the memorial. Even today, 100 years later, remains are unearthed by local farmers, We were deeply moved and would forever remember our visit. 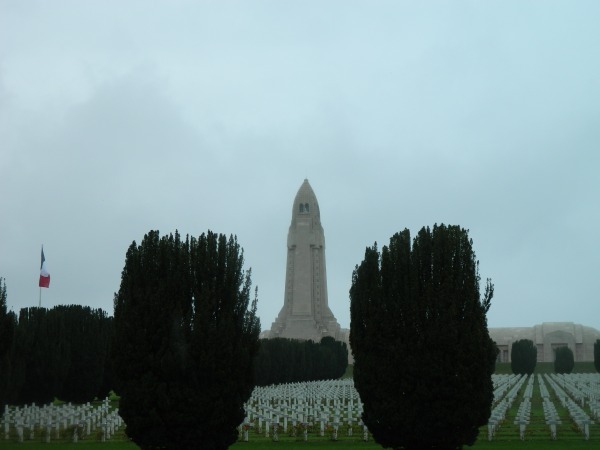 Douaumont Ossuary near Verdun, France is a memorial to the soldiers who gave their lives in the Great War. 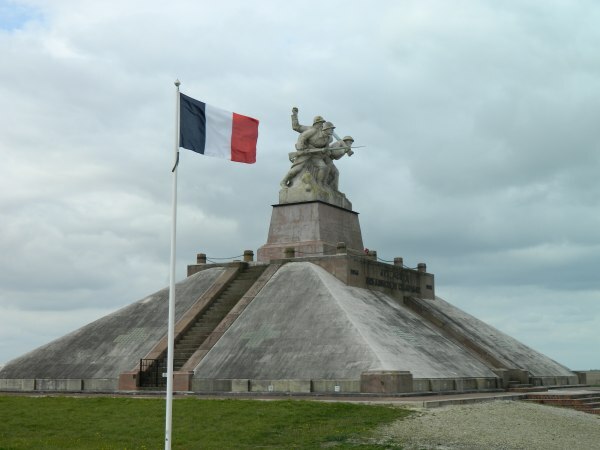 Battle memorial in french countryside. The province of Alsace in France is near the German border which is evident in the style of architecture. In fact, Alsace has changed flags several times over its history. We heard both German and French spoken interchangeably as we strolled through the various towns in this region. 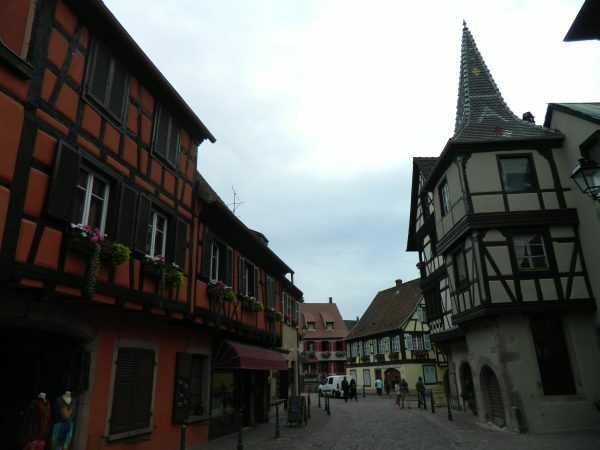 We camped in Colmar and biked into town our first night. The town was enchanting. We enjoyed wine tasting, then ate a late dinner of crepes and baeckeoffe at the cozy Crep’Stub Creperie. 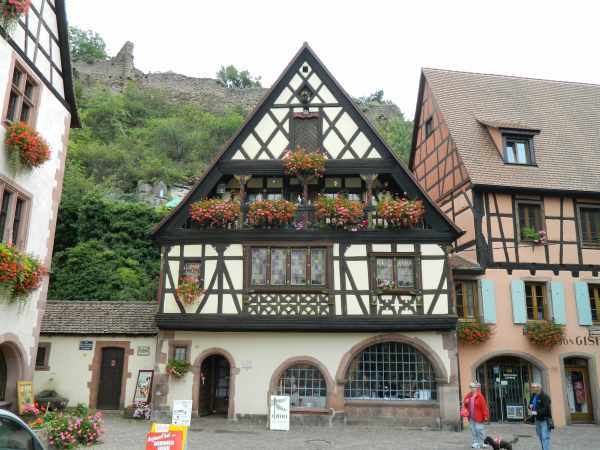 Alsace architecture, when the house were built, owners paid tax based on the square footage of the bottom floor. Is it coincidence that the upper floors were larger? Early the next morning, we biked to the nearby town of Eguisheim where we hiked for twenty minutes up a steep hill . We were rewarded with more climbing! 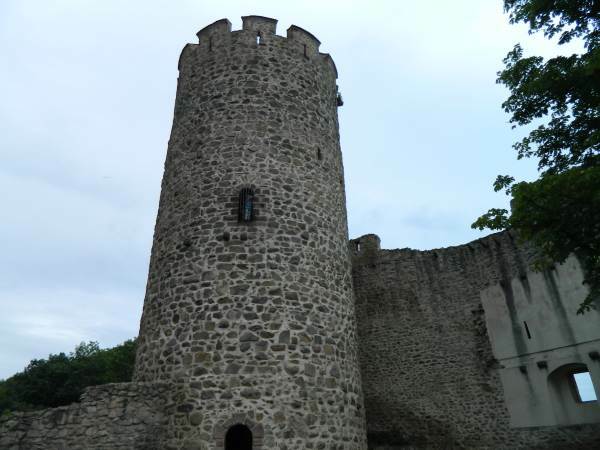 As we arrived at the castle ruins, we noticed a tower and ascended the narrow winding steps to the top. 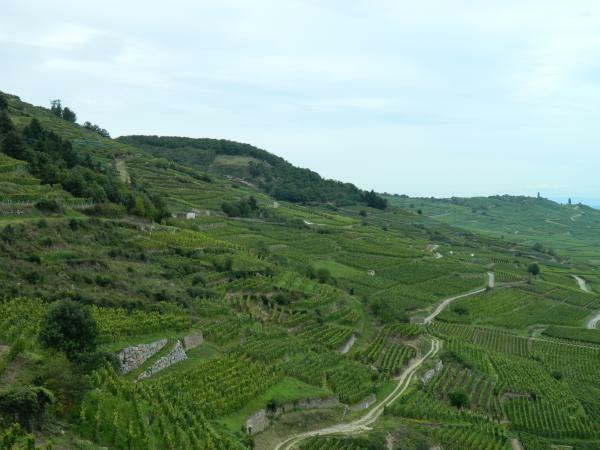 The views of the vineyards, towns, and valleys below were our true reward. Alsace countryside known for Chardonnay, Riesling and Gewurztraminer wines. 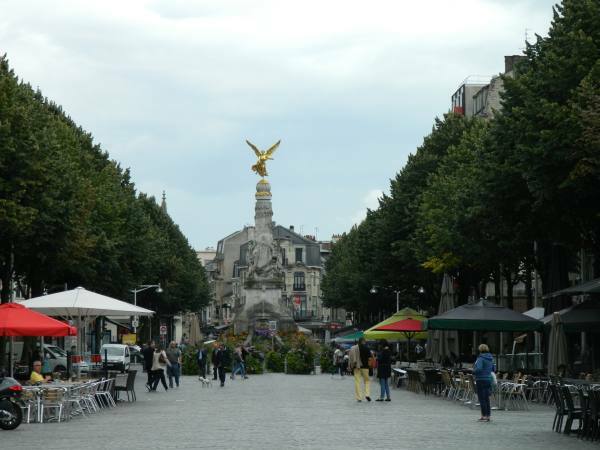 Although only an hour from Verdun, the mood was very different from its somber neighbor of Verdun. It is here that Champgne was first invented, twenty-six kings were crowned, and where the Germany officially surrendered in 1945, ending World War II. 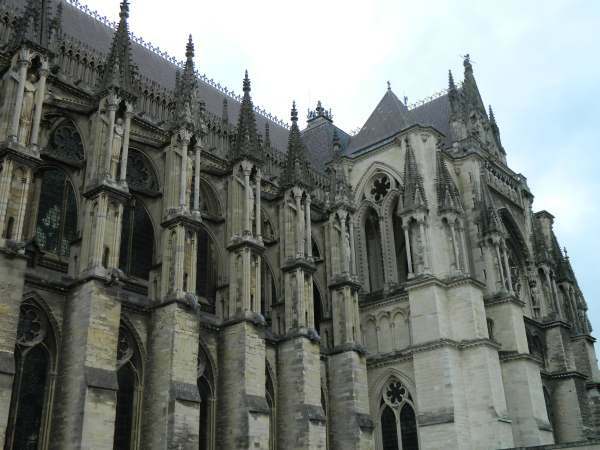 Reims has a lively old town, with many shops, cafés, a beautiful cathedral with an enchanting statue of a mischievously smiling angel. Reims is also home to a Carnegie Library. It was funded by an American who believed that knowledge could put an end to all wars. Reims town square. Statue is a reproduction, the original was melted down by during the Nazi occupation. 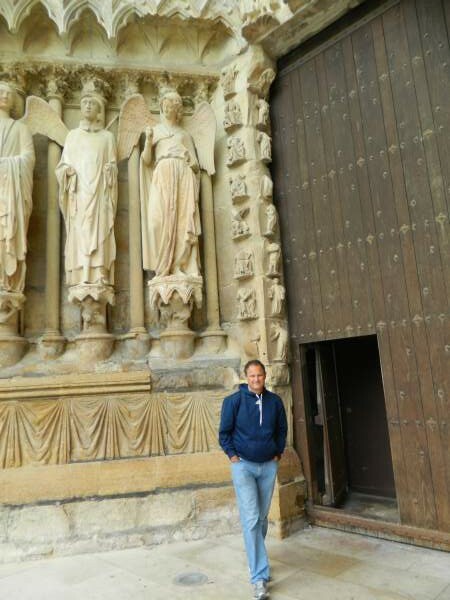 The Smiling Angel is now a symbol of Reims resilience. 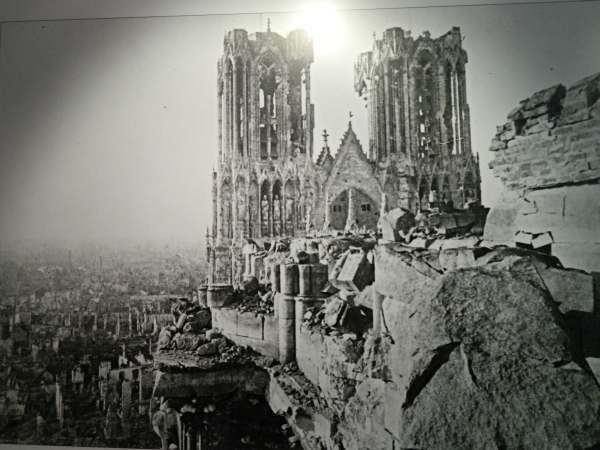 Photo taken after WWI shelling. We returned at 10 pm to watch a 25 minute light and sound show with the cathedral itself as a backdrop. 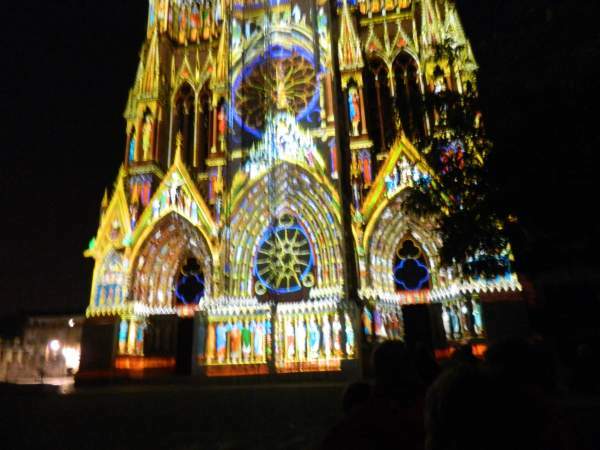 Using colorful lights and booming sound, it took us through the history of, and building of the cathedral..
Auguste Batholdi, designer of Statue of Liberty was born in the town of Colmar, this replica is in his honor.